Phew, the UK surely is hotting up right now, isn’t it?! I don’t know about you guys but with this gorgeous weather and the tension of Wimbledon, I don’t know how I’ve survived this past weekend. When the weather starts warming up, the last thing you want to be doing is slathering your face in make up so I decided to show you five products that I’ve been loving this weekend to enhance your face quickly and easily. I’m definitely a full coverage girl when it comes to foundation but lately, I’ve been stripping it back and using a BB cream. 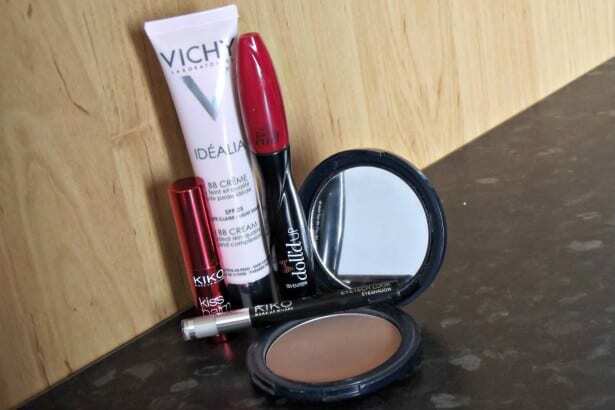 If you’re a reader of my blog then you’ll know that I’m pretty much a BB hater but this one offering by VICHY has really changed my mind – it’s wonderful. The VICHY Idealia BB Cream is light on the skin and it offers pretty good coverage too. I’m someone with a lot of hyperpigmentation/scarring on my skin and it definitely tones those down and I only need a little bit of concealer over the top. It also boasts a lot of skin care benefits but I haven’t noticed any yet as I haven’t been using it long enough. It smells gorgeous and the finish is beautiful – really glowy but not so much that it leaves you looking like an oil slick. Oh, did I mention that it’s SPF 25 too?! I like to keep it light on my eyes in the summer and KIKO’s Eyetech Look Eyeshadow in 117 has definitely been doing it for me this month. 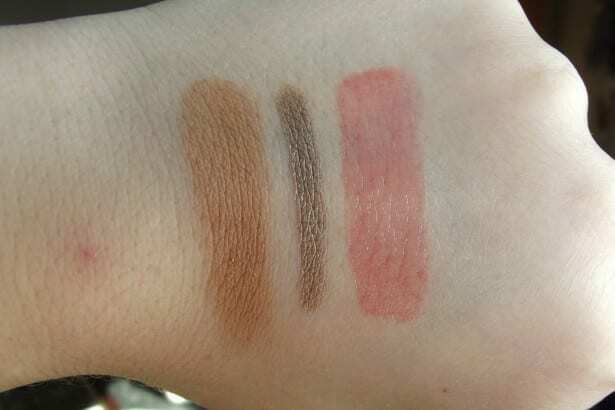 It’s nicely pigmented and you can use a slick of it as an eyeliner or blend it for a full shadow look. It’s very natural and lasts all day long on me without creasing (when using a primer). You only get 0.8g of product in this but KIKO say that it’s enough for over 150 applications which if true, is pretty outstanding. To finish of the eyes I love using the SEVENTEEN Doll’d Up Mascara in hot weather. 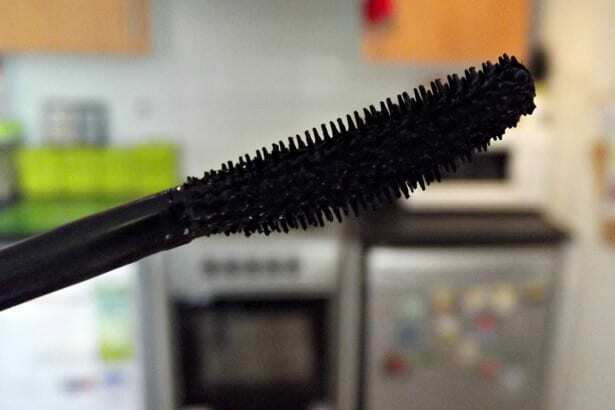 It doesn’t claim to be waterproof but I find that it stays on the lashes all day long and holds a gorgeous curl for up to 24 hours. Lashes are volumised, defined and lengthened in one quick and easy step. For lips, I like a nice slick of colour and gloss and KIKO’s Kiss Balm in Strawberry does everything I want it too – and more. Enriched with Shea Butter and Vitamins, the Kiss Balm has an ultra rich texture that leaves lips soft and moisturised day after day. It provides immediate relief for chapped lips and even boasts SPF 15 protection which in summer is perfect. Strawberry is a gorgeous pink-coral colour that in my opinion is perfect for summer however, the Kiss Balm is available in 7 different combinations including coconut, tutti frutti and cherry – delicious. To complete the look, I dust Liz Earle’s Natural Glow Bronzer all over my skin to make my face look more defined, contoured and bronzed. I’m quite a pale person and this bronzer is perfect for me as it doesn’t make my skin look muddy or orange – just golden and glowing. It’s easy to blend and is enriched with vitamin E, borage and avocado so instead of worrying about your pores clogging up, you can walk around looking sun-kissed and radiant. All of these products are guaranteed to leave you looking and feeling beautiful. They’re in no way heavy on the skin and they last all day long in the heat so you don’t have to worry about touch ups and looking like you applied your make up to your chin as the day goes on. What are your five “go-to” summer make up products? Have you tried any of the above?